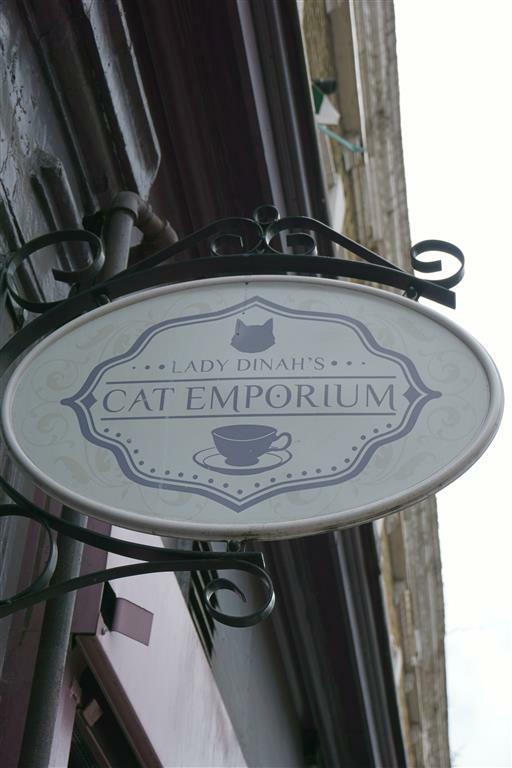 Lady Dinah’s Cat Emporium is a tea house for cat lovers where you can eat and drink while admiring the beautiful rescue cats. I only managed to get a booking for a Saturday afternoon about 2 months after we started chatting about it as the place is so popular. 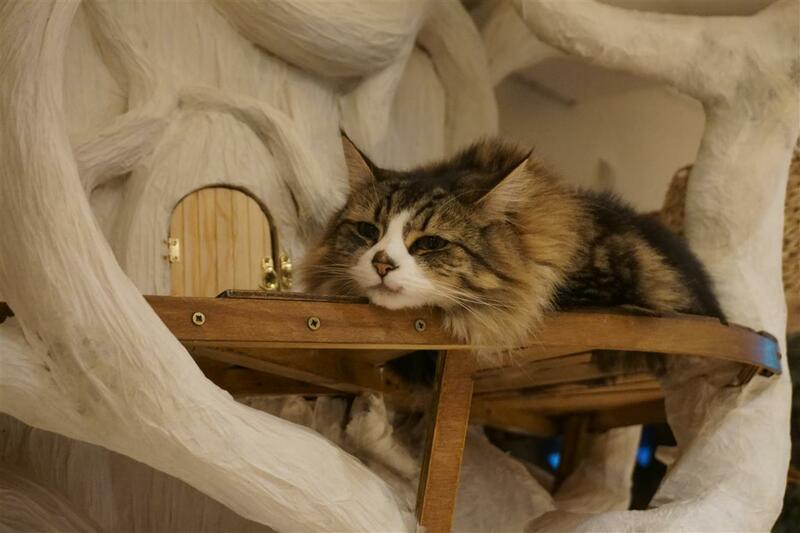 We arrived at the cat café and were led into a room where we were asked to wash our hands and were reminded of the “house rules”. I like that they’re concerned about hygiene and how they manage customers handling the cats. 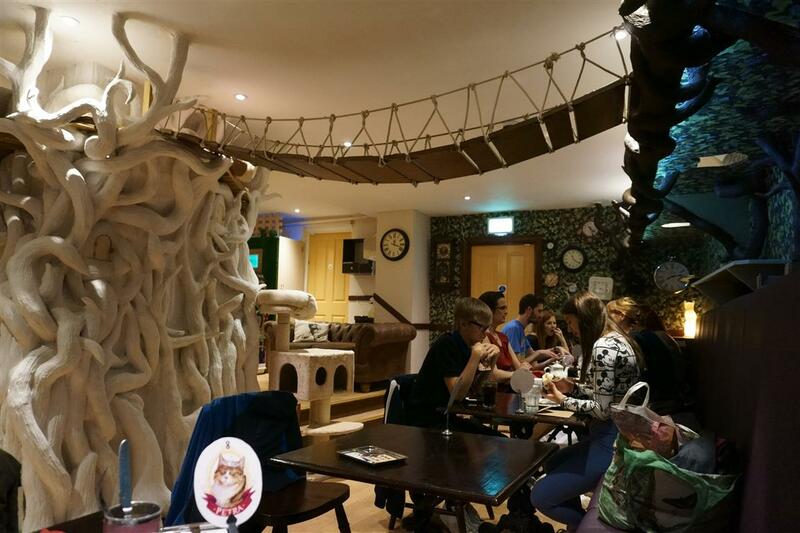 We were then allowed into the teahouse/cat heaven area 😉 where the other customers were seated. My immediate reaction was “Oh wow!”. 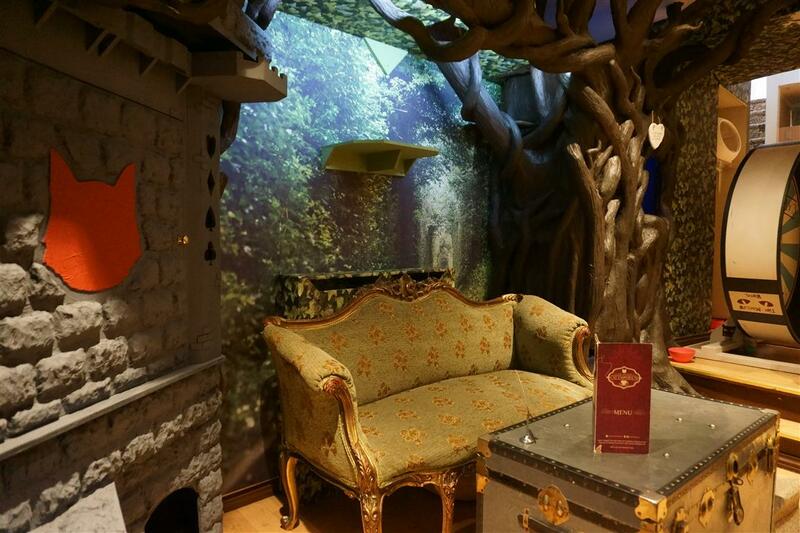 My two cats would go absolutely crazy in this wonderful place filled with cat climbing trees, hiding spots, beds, toys and cat furniture galore! 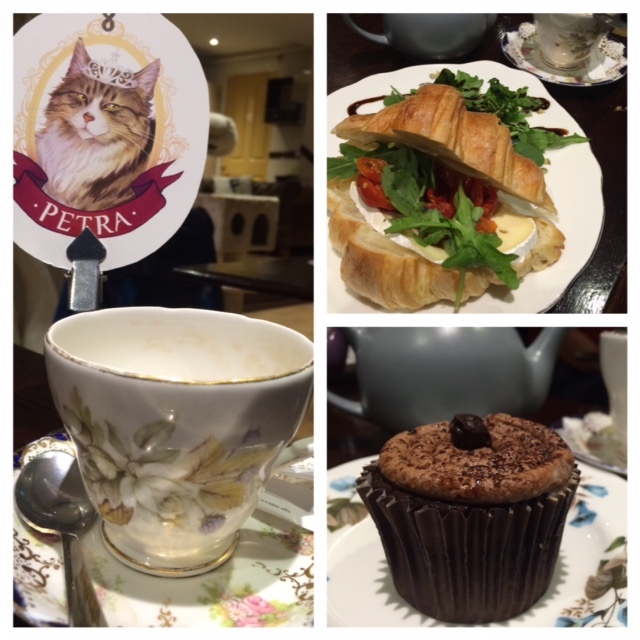 Once we placed our orders for tea, we took a look around checking out the cats. I even managed to stroke a very friendly one too. And I found this lady resting on her throne overlooking everyone. 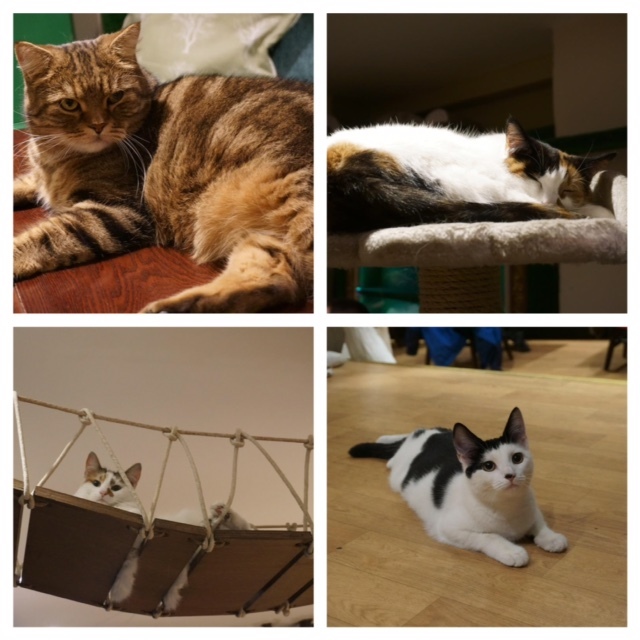 It’s great to see that the place isn’t over run with cats and that they are well looked after. A few of the cats were lazing about, some sleeping, some checking out everyone and one or two young ones were being playful. If you enjoyed reading today’s post and would like to be notified about future posts then please complete the subscription form below. That looks like my kind of heaven! Ain’t the kitties just adorable!! very interesting Natalie, maybe a place that I will visit, was the food good? I’m not a cat lady, but I love this place. I never heard of it, and think it’s wonderful that the cats are rescues. Thanks so much for sharing. 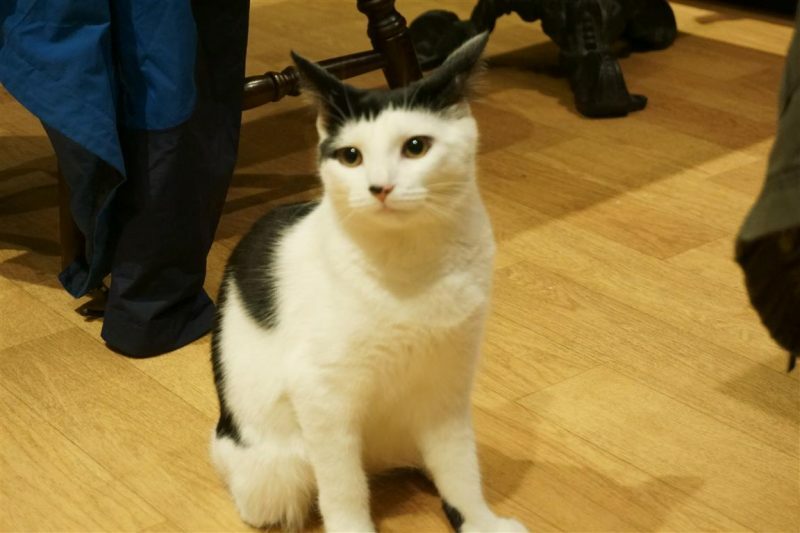 Hi Denise, thanks for reading and commenting 🙂 Yes, it is great that it’s a lovely home for rescued cats.